Microsoft officially announced the Xbox One console at E3 2017. Formerly known as project Scorpio, Xbox One X is set for launch on 7 November 2017. If you’re looking for Xbox One X pre order details this page will be continuously updated with the latest news to help you snag the new console. Xbox One X Pre Order: When Can I Reserve One? So there you go, Microsoft isn’t even allowed to sell the damn thing yet! That permission should be granted soon though, and we eagerly await further news. However, this page will be regularly updated with Xbox One X pre order details as and when they are released. And for even more details on the upcoming console, check out our Xbox One X release date page. There you’ll find all the information you need on the Xbox One price, specs, and much more. 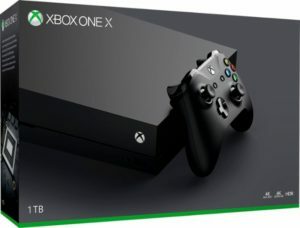 Amazon already has Xbox One X product pages for both the UK and US. You can find that here. The Xbox One X release date is 7 November 2017. The console will have an RRP £449.99 in the UK and $499.99 in the United States. 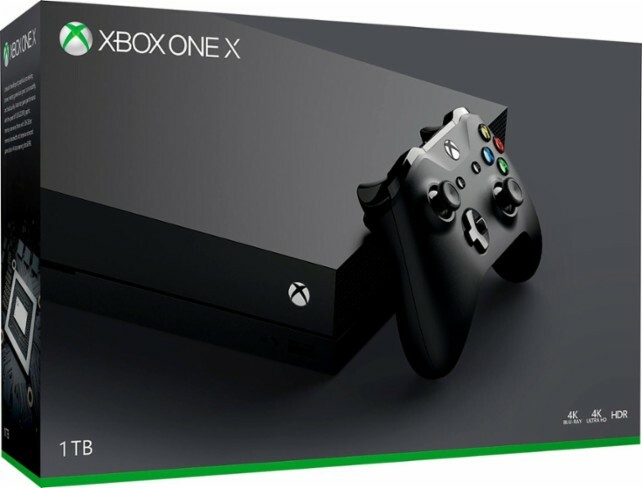 In addition to keeping you up-to-date with any Xbox One X pre order developments, you can also stay abreast of all the Xbox One X price changes. You can do that either by following on our dedicated pages, on social media, or right here. Any changes to pre order details, bundles and pricing will be added here as they occur. For example, not only will you be able to find where you can find Xbox One pre order pages, you’ll also be able to see the cheapest retailer.